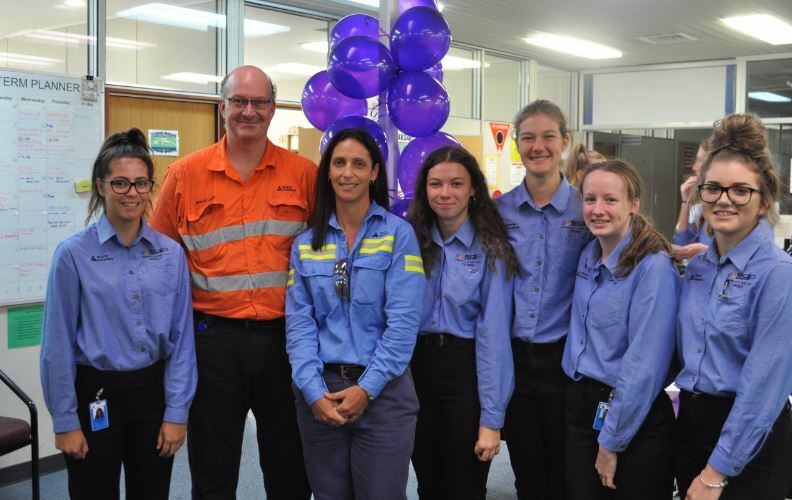 Celebrating International Women’s Day in a traditionally male-dominated workplace is perhaps not what you’d expect but that is exactly what happened at Boyne Smelters Limited (BSL) last Thursday. Drawing together a diverse group of BSL team members from all areas of the operating plant, BSL hosted students from the onsite EBITS program for a meet and greet over morning tea. The EQIP Business, Industry and Tourism Skills Centre (EBITS) is located on-site at BSL, offering pathways for students in Years 10, 11 and 12 to gain practical experience in a professional business environment while completing Vocational Education Training (VET) qualifications. “BSL plans to be here well into the future and these students are our future team members. 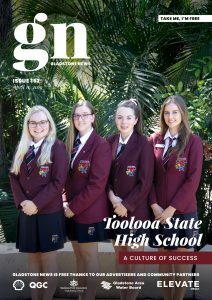 I can’t think of a better way to illustrate what happens at BSL than showcase women in industry through our talented team members as they share stories of their working lives with the students,” BSL General Manager Joe Rea said. Students in Years 10, 11 and 12 from local high schools have the opportunity to take part in the EBITS program at BSL which offers an authentic workplace environment where they not only gain certificate qualifications but take part in enterprise activities that support the hosting companies such as BSL.